I am Jack Byno, traffic ticket attorney. I have been practicing in the Rowlett Municipal Court since 1994 and I have the experience you need if you were given a speeding ticket or any other traffic citation. While the number one violation I handle is speeding, I also represent clients with other Class C misdemeanors, such as disorderly conduct, disruption of class, minor in possession (MIP) of alcohol and tobacco, and animal at large. Wether you have a regular driver's license or a commercial driver's license (CDL) I can assist you, even if your case has gone past due and is now in warrant status. Contact me today to determine what we can do to help you. If you are facing a speeding ticket in Rowlett, Texas, it is important to pay attention to the court appearance date on the citation and contact an experienced attorney. While a speeding ticket may seem like an inconvenience, ignoring it can lead to more problems, like a driver's license suspension, a warrant, and/or higher court fees. Surprisingly, a very small number of people who receive a speeding ticket try to contest it. Yet when contested with the aid of an attorney, most speeding tickets cases end in either a dismissal or a reduced punishment. You do have options. Contact me with your questions about your Rowlett speeding ticket. If you have been given a speeding ticket in Rowlett, Texas it is not too late to save yourself from an embarrassing arrest if the ticket has gone into warrant status. If you handle the traffic warrant promptly and correctly, it may not be too late to keep the ticket off your driving record and save some money on it with the help of a traffic ticket attorney. If you have an outstanding warrant contact me today, before the upcoming statewide warrant roundup begins. More about the Rowlett Warrant Roundup. Do you have a commercial driver's license (CDL) and get a traffic ticket in Rowlett for speeding or some other moving violation? As a truck driver you have you have to keep your driving record clean because your job depends upon it. A CDL holder has a much tougher time keeping their driving record clean than the average driver because a CDL cannot, by law, cannot take a defensive driving class or get a probation for moving violations. 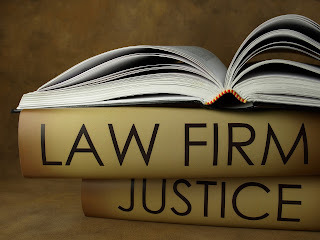 Call the attorneys of Jack Byno & Associates for aid in defending your livelihood. When you need a speeding ticket defense attorney in Rowlett, Mesquite, Garland, Richardson, and the rest of Dallas County, I can help. Contact me today to learn more about my legal services.